Wedding bells are ringing! Are you getting married this season? We know how exciting it is to plan a wedding. However, there are so many vendors to work with that the planning process can become a little overwhelming. We’d like to help make the beauty aspect of your wedding planning a little easier for you. Picking your wedding day glam squad is a big decision and we’ve rounded out some of our best tips to help you pick the team that is best for you. Anyone on the internet can call themselves a makeup artist or a hairstylist (or both! ), which is why experience is more important than ever. While some individuals have mastered the art of flawlessly applying their own makeup or styling their own hair, it doesn’t always mean they can do the same on others. Your wedding day is not a day to give a friend a chance to practice applying false lashes! It’s also not the day for you to attempt to try your luck at winged eyeliner. Instead, you need a seasoned team that has the skills to make you look and feel your best for your special day. 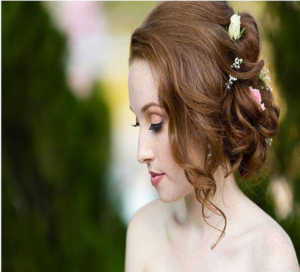 When picking a wedding hair stylist and/or a makeup artist in Boca Raton, FL you want to look for proof of experience. The best way to do this is to ask for a portfolio with samples of previous work. When reviewing a portfolio, you want to see samples of work that are relevant to the look you are trying to achieve. For example, if you are looking for a braided hairstyle for your wedding, you want to make sure this is a skill set that your stylist feels comfortable with. In addition to viewing a portfolio, make sure to request references. It’s also a good idea to read reviews from websites such as Facebook, Yelp and The Knot. Now that you have an idea on how you want to style your hair for your wedding, how will you know if it will work with your makeup look? Will the eye makeup look you picked look right on your eye shape? This is where the trial comes into play. A trial gives you a chance to get to know the dream team that will be by your side on your wedding day as well as to see how your hair and makeup will look together. We know that there are a lot costs associated with celebrating your wedding day, but skimping on a hair and makeup trial is not where you want to save some cash. In fact it’s one of the most important investments that you will make for your big day. We suggest booking your hair and makeup trial a minimum of 4 weeks prior to your wedding day. If you want to get a little more bang for your buck, you may want to consider scheduling a date night on the same day so you can get more use out of the look and see how it wears through the night. Ask questions… lots of them! Does your bridal makeup team come to the location of my wedding, or will I need to come into the salon? Can my bridesmaids also book with your team? How long will hair and makeup appointments take? Do you offer touch up services? I’m allergic to silicone. Do any of your products contain this ingredient? What kind of products will you use to ensure that hair and makeup last all day long? At Salon Sora, we not only have a team of qualified cosmetologist, but we also have a selection of seasoned professionals that are passionate about their art. Our team has worked on countless weddings and special events in Boca Raton, FL as well as throughout South Florida. To schedule a consultation for your wedding day hair and makeup, please give us a call at (561) 338-7597 to schedule your appointment to meet your wedding dream team.